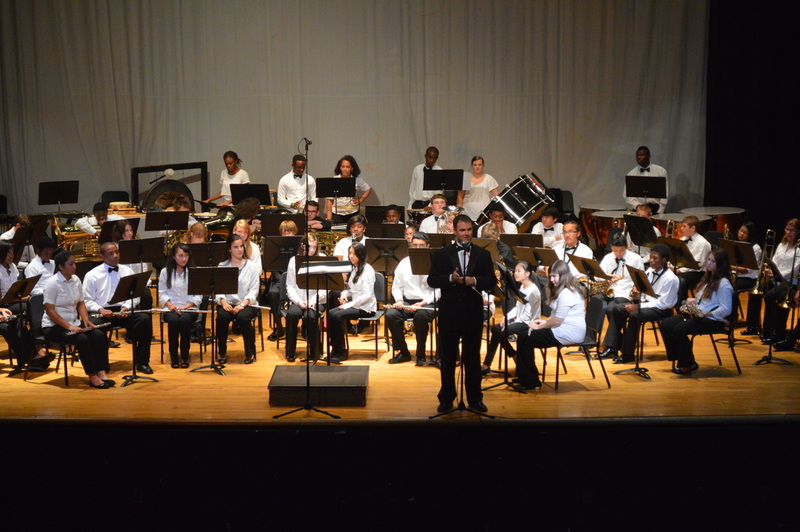 On Oct. 22, Rose held its Fall Band Concert. Each year Rose has a fall, winter and spring band concert, in which the concert and symphonic bands play. The concert band is a group of brass, woodwind and percussion players. On the other hand symphonic band is usually made of woodwind instruments, but still has instruments similar to the concert band. At the concert the symphonic band played four songs and the concert band played three songs. Russell Knight is the band teacher and has been teaching classes at Rose for thirteen years. Matthew Howard is the assistant band teacher and this is his first year teaching at Rose. He selected a wide variety of music from different parts of the world for the concert. “The music we played at the concert was written for woodwind instruments, not a marching band,” Knight said. Knight chooses the songs he thinks will challenge the band members. Challenging the band members can make them better and more advanced musicians in the future. The band practiced almost every day within six to seven weeks on the songs they played at the concert, tuning every note, beat and count of the music to get it right when playing in front of the audience. Senior T’jana Pugh plays the clarinet in the symphonic band. She has been playing the clarinet for nearly seven years. She felt natural while playing during the concert since she was used to it. “I play the clarinet because I know I can do it,” Pugh said. She did enjoy playing the songs during the concert, her favorite one was, “El Caballero” (The Horserider) by Roger Cichy. But she thought practicing was the hardest part preparing for concert. Freshman Evan Marr plays the trombone in the concert band. 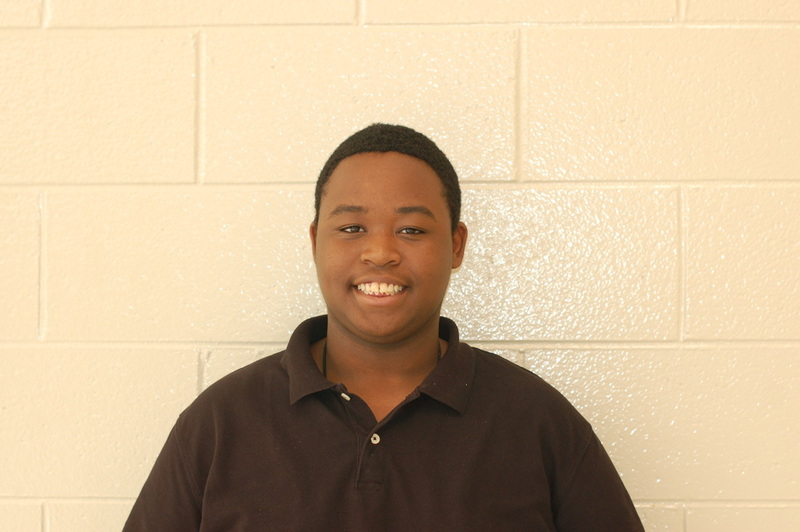 He has been in band for 4 years, including his first year here in the band at Rose. He felt nervous and excited at the same time while playing during the concert. “The practices were good and we worked hard. Mr. Howard liked to yell a lot at the practices but Mr.Knight was a cool guy even though he yelled,” Marr said. He said they practiced every day since school started. Also, he said he enjoyed all the songs they played. Marr said that one of the songs they played during the concert was a little hard but it was his favorite song they played, “The Great Locomotive Chase” by Robert W. Smith. All of the bands members’ work paid off in the end; both of the band members thought the concert was a great turn out. Though not all the band members want to continue playing in the band in college or play for a living, they still enjoy playing in the concerts at school.